Lady and the Blog → Living → Featured → How To Get Rid Of The Rat’s Nest In Your Daughter’s Hair: Knots And Tangles Be Gone! Listen… I have a daughter and she doesn’t like to comb her hair and it absolutely kills me! We end up arguing every single morning because she doesn’t like tending to the knots but I won’t let her leave the house without a smooth mane. THE STRUGGLE IS REAL. If you are reading this post, then you are trying to figure out how to get rid of the rat’s nest in your daughter’s hair as well. I finally had a conversation with my hair stylist and begged for advice. No matter what my daughter does, she wakes up with a head full of knots. Shockingly, my hair dresser’s tip was NOT one that I expected – but it’s been working!! Tangled hair be gone!!! I’m going to start with her tip and then give you a few more. The last few weeks have been absolutely manageable thanks to the routine listed below. 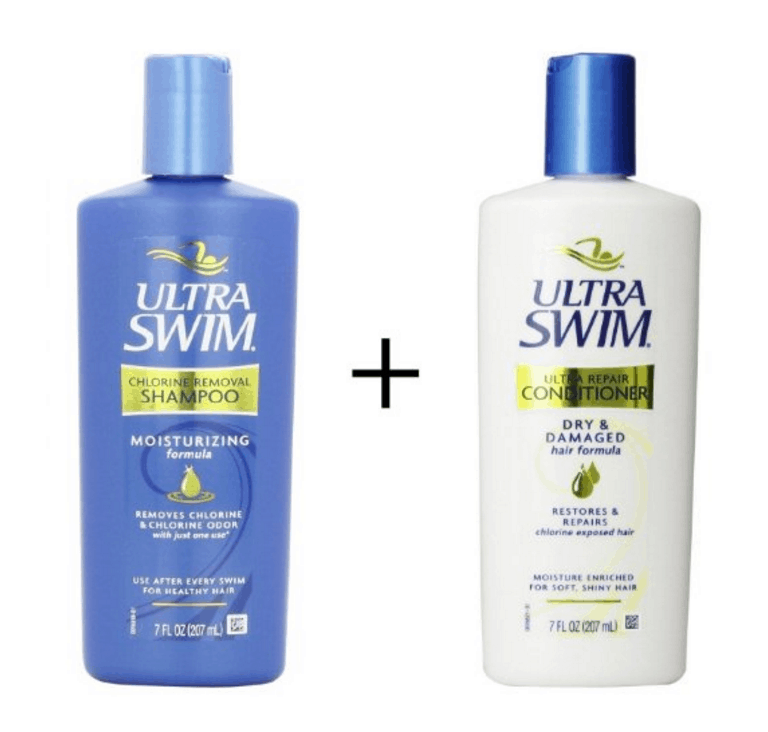 UltraSwim Dynamic Duo Repair Shampoo and Conditioner: My hair dresser said that my daughter probably had very porous hair and odds are it was filled with chlorine from the summer. Chlorine can cause KNOTS and she strongly felt that this was the root of my issues. She recommended we tried swimmers’ shampoo and conditioner for a while and I SWEAR to you folks, it’s working!! 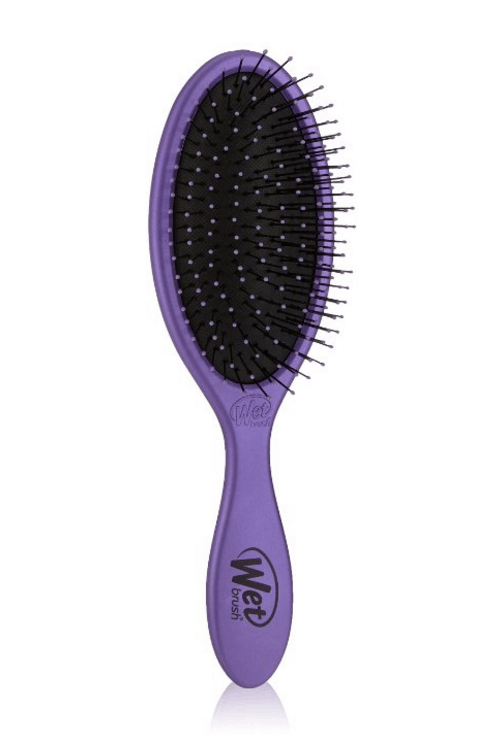 The Wet Hair Brush: Guys, I don’t understand the magic – but this brush works. It’s so CRAZY. There’s so many other brushes out there that you would think would do the same thing, but they don’t. The Wet Brush doesn’t hurt my daughter and that’s all that I’m asking for as a parent. 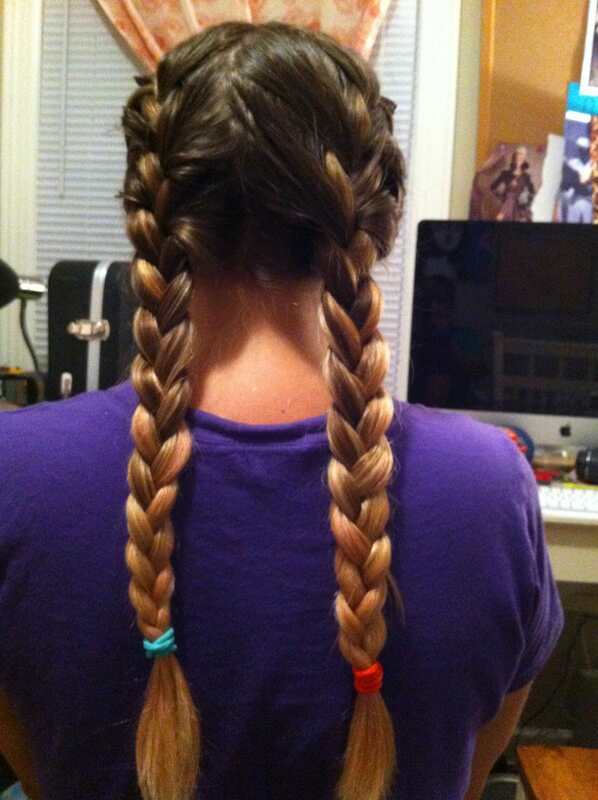 Nightly Braids: You can do two braids or one big loose braid right down the center. This will help eliminate that huge center knot that manifests right at the nape of their neck. You know, my nemesis. 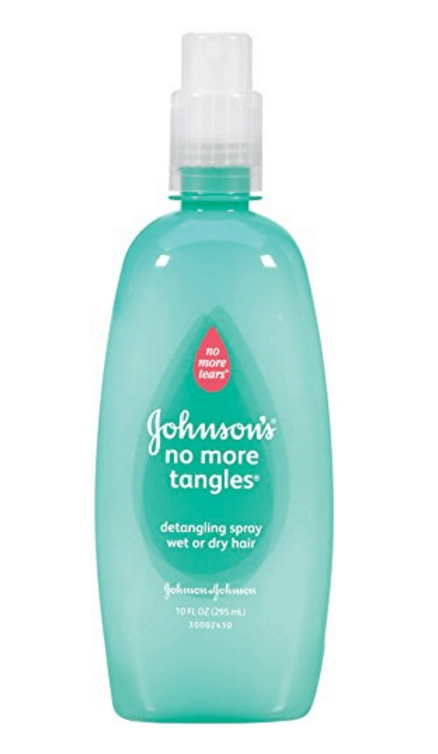 Johnson’s Baby No More Tangles Detangling Spray: They aren’t babies anymore, but this spray even works on MY hair. This detangling spray is a HOUSE STAPLE. I am not kidding. Always keep one stocked up in your bathroom for stubborn knots that need a little extra TLC. LIFE SAFER. 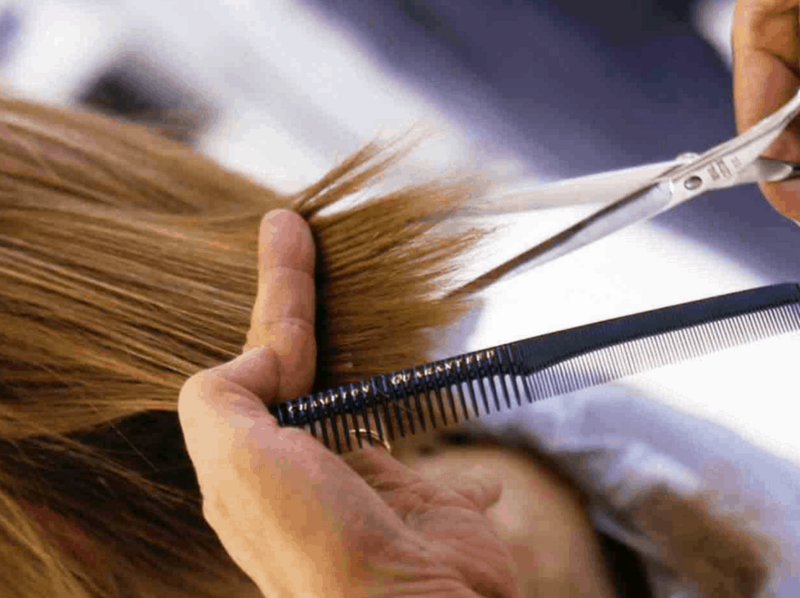 Get a Trim: And your daughter might not like to hear this one, but a haircut always helps. Get rid of the excess dead ends and you will help with the knots. I promise! You don’t have to cut it all off (even though I totally want to). Ask your stylist to tell you what she recommends and go from there. Do you have any tips that I’ve missed? Would love to hear how you get rid of knots and tangles in your house! Let’s get rid of the rat’s nest in our daughters’ hair once and for all.